Recently I’ve received an e-mail or two from people who are interested in coming to train martial arts in China. In order to make things easier for you, I put together a few questions that you will need to consider before you make any plans which should help you narrow down your focus and figure out exactly what it is you should aim for with your China training plan. Knowing the answers to these questions will provide some direction, both in terms of where you can train, but also what you can expect when coming to China. 1. Do you have kung fu? The reason it is important to think about your skill level is because it can determine not only where you should train, but also whether you should bother coming to China at all. And by “kung fu”, I’m referring to a high level of skill in martial arts, not a particular style of Chinese martial arts. The reality is, a lot of people come to China to train before they are really ready. If you just learned how to do a wu lun pan da (wheeling arms) last week, or you are still trying to figure out the mechanics of a za quan (hammer fist), then coming to China will probably not be of much benefit. How much “kung fu” is enough? I usually tell people to wait until they’ve been training for at least 2 years, or have a few competitions under your belt. If you have learned the compulsories then that is probably a good indication that you are ready. Spending thousands of dollars to come to China to learn basics is, to be quite honest, a waste of your money. Instead, spend it on more lessons back home so that when the time does come for you to train in China, you have the necessary fundamentals to really take advantage of the experience. Having some skill in Chinese language is probably the second greatest determining factor in your plans to come to China. 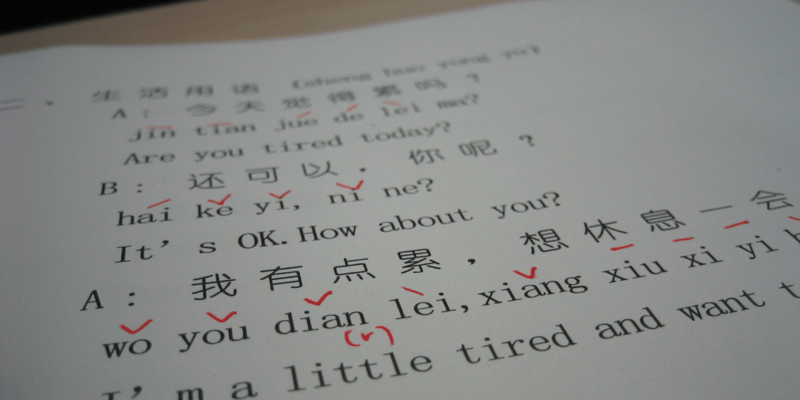 If you can speak and understand Chinese then your options are greatly expanded. Being able to communicate with your coaches, the school, people around you and other athletes is really the holy grail in relation to getting the most out of your trip to China. Yes, you can find a school that provides translators. And yes, you can learn a lot through body language and general vocabulary like 快一点儿！(“quicker”) or 不对！(“wrong!”), but it isn’t quite the same. Take it from someone who’s Chinese still lacks a lot of polish — knowing Chinese will not only make your training experience better, but it will vastly increase the number of facilities you can train at. 3. Can you eat bitter? This doesn’t just relate to your training, although that is a part of it, but I’m talking more about lifestyle. Are you comfortable with a squat toilet? Do you have a tolerance to MSG? Are you comfortable seeing your food walking around before you eat it? Are you used to walking many flights of stairs or several miles to get to your destination? How are you with bugs? The more you can handle, the more training options you will have. If you require 5-star (or even 3-star) service and a certain “quality of life” to make you comfortable enough to endure your training, then you will have fewer places to pick from. Don’t get me wrong. There are some pretty swanky wushu schools in China. But those are not the majority, so you should be willing to swallow your pride and learn the joys of squat toileting if you want to really expand your options. 4. Do you have style? The more focused you are in your training, the better you can find tailor-made options for your particular needs. This means knowing exactly what style of martial arts you are interested in learning and narrowing down on those places that can help you out. For example, if you want to learn Fujian Dog Boxing, then your options are pretty limited to just a few places (not necessarily in Fujian either, believe it or not). On the other hand, if your specialty is Long Fist and you’re focusing on the compulsory routine, then you can pretty much pull wushu school names out of a hat and you’ll find a place that can cater to your needs. Figure out what you want to work on, what style you are focusing on, and what your goals are, and you will make better use of your time in China. Plus, you will be able to find a place that best meets your requirements. 5. When are you traveling? Knowing what time of year you are coming to China can affect your available choices with schools and training options. Most people come during the summer, both because that is typically when schools have their vacations, and also because everyone loves an outdoor sauna. 😉 But seriously, for most people their options are limited based on their obligations back home. However, if you have a bit of flexibility, then you might want to consider some other options. Coming to China outside of the “peak tourist season” can give you a more focused coaching experience and better exposure to athletes and wushu. Be careful about coming to China just before or just after a national competition. Right before most teams start to initiate a closer-door policy in their wushu guans, so your options go down to private schools or sports universities. If you come right after a competition then you run the risk of everyone being out on vacation or completely unmotivated to train. The same holds true for national holidays. The first week of October no one is around and during Spring Feestival (a.k.a. Chinese New Year) you’d be hard pressed to find a school that even has the lights on, let alone people to train with. For me, I think the best times to train are during the early spring, maybe a month after Spring Festival, up until the qualifier competitions. And then again at the last part of summer or early fall, at the end of August through the end of September, just before the National Day holiday week. If you can arrange it, stick around to watch a competition if you can. There is nothing better for martial arts enthusiasts than watching a real-live Chinese martial arts competition. It really gets the training juices flowing and is a good motivation to get back in the wushu guan. 6. How long are you going to be in China? On the other side of the last question is the length of time you plan to stay in China. If you are going to spend 6 months or a year, you will find better options for training (some sports universities only take long term students) not to mention a better training rate. Staying long term at a facility really helps you become a “part of the family” with both the athletes and coaches, and you will get a truly different experience than those who stay just for a few weeks or a month or two. If you are one of those people who are coming just for a few weeks or a couple months, then you might have some restricted options. You will also have to pay a higher rate than others. But of course, many of us have jobs, so this is the only option we can afford to do. That’s okay. You can still find a lot of places to train at. I would also say that, if you are only going to be in China for 10 days or less, then it really isn’t worth taking part in a serious training session. I realize some folks might disagree with this, but honestly the best you could hope for with a week of training is some soreness and a bunch of pictures and videos to take back to your friends and family. Save your money and come back when you can really dedicate a good chunk of time to your training. The general rule here is, the more people you’re traveling with, the cheaper your overall rate will probably be. But on the flip side, you will also probably get a less focused training situation than if you were here on your own or just with a friend or two. When you have a large group you will most likely be assigned a coach who will work with you as a group. This isn’t such a bad thing, but my personal preference is to train with the Chinese athletes themselves. You usually can only get this situation if you are on your own or it is just a few of you. The first time in China you probably want to come in a group. Things are new and strange to you so you need that social support around you. But for your second trip try going it alone or just bring along one or two training buddies. You’ll find the experience to be quite different. 8. Is this your first time to China? Related to the 7th question is whether or not you have been in China before. Being familiar with the culture, way of life and pace of things can go along way. If you have been to China before, then you are probably more willing to “go local” with your experience. And the more “local” you can go, the more training options you will have. If, on your first trip to China, you experienced the wonders of Beijing or Shanghai, then the second time around I might recommend that you try going in-land a bit and finding a more focused training environment at a more rural wushu facility. Yes, you won’t have a Starbucks on the street outside your wushu guan. But you will also have a much more authentic and “real” training experience in China. Not to mention the fact that the farther you are from the big cities, the lower your prices will be. 9. How much you got? Speaking of prices, an important consideration is your budget. If you are independently wealthy, then you can afford to shell out the big money for the 5-star accommodations and big-budget training at Shi Cha Hai Sports School in Beijing (almost $90USD / day last I heard! I remember when it was $25 …). But if you are a working stiff or a poor starving student, then you will need to count your shekels. Fortunately for you, if you are able to eat some bitter (see #3 above) and can go “local”, then you have a whole plethora of cheap training options available for you all over China. Rates can vary, but many of the good wushu schools can bring you in for around $30 – $40 / day. If you go farther from the cities you can get down in the $20 range. Yes, that includes room and board. Think carefully about how much you can spend and how much time you have available for training. Then, based on that (along with the other items in this list) you can find the best place to train that exactly matches what you are looking for. Now, I’m not saying that you will be guaranteed an amazing experience in China. In fact, as you read in my 5 Tips on Training in China blog, your mileage will vary greatly depending on a whole host of variables that no one really has any control over. The most important thing is to plan well, know what you want to do, and have a positive, open mind so that you can enjoy the experience to its fullest.